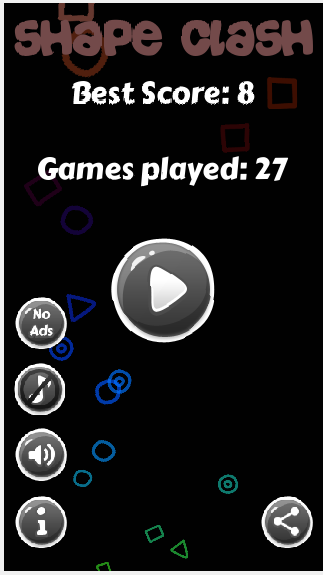 Shape Clash is a free and addicting game that anyone can play and enjoy. 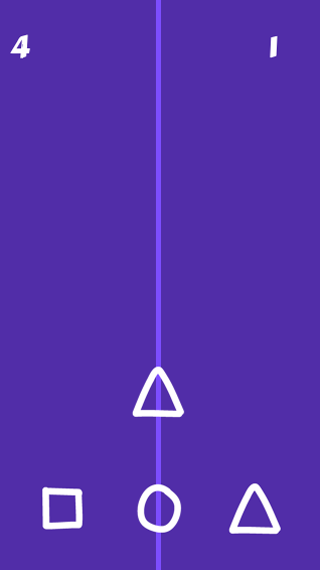 Tap the shapes at the bottom of the screen to match with the corresponding falling shape. Make sure to match the correct shape, or you will have to start again. Think fast and keep up with the increasing speed. Keep tapping! Challenge your friends by getting the highest score.